I am really very chuffed to have been asked to review the The Savvy Seamstress by Nicole Mallalieu on the blog today and be a part of the worldwide blog tour for the launch. I am also very excited to be able to giveaway a copy of the book at the end of this review! It really was a very happy mail day when I received this book. I happened to have some child free time so I sat down immediately with a cuppa to enjoy my first look. My initial impression was of delight in the very detailed and clear pictures and illustrations, not to mention the clean layout and great ideas for customisations. Upon closer look, and bedtime reading (am I the only one that reads sewing books at tucked up in bed? ), the detail in this book is phenomenal. Although, that now doesn't surprise me after getting to know Nicole. Nicole studied Fashion at Royal Melbourne Insitute of Technology University and has since worked as a designer, pattern maker and product developer in the fashion and accessories industries, in Australia, England and Ireland. 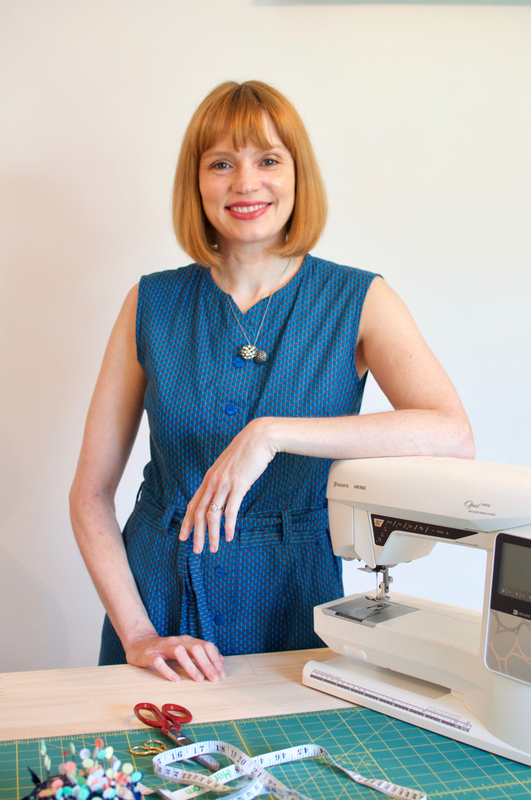 Upon her return to Australia in 2002, Nicole has designed and manufactured You SEW Girl! sewing patterns along with teaching workshops in pattern making, sewing and bag making, both privately and at university level. And this is actually Nicole's third book, joining You SEW, Girl! and The Better Bag Maker on her book shelf (all published by C&T Publishing). The premise of this book is that you have a garment pattern that is the finished shape and fit that you want, but you would like to add features such as a collar or zip or pocket. Who doesn't want to add pockets to everything!? 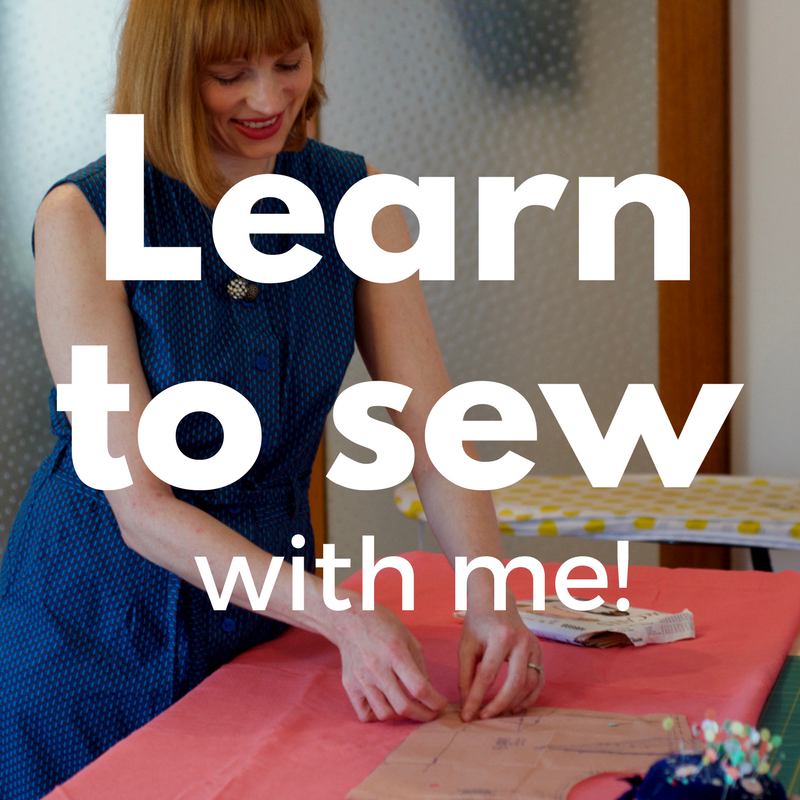 So with that in mind, this book is geared towards advanced beginner and intermediate sewists who have basic sewing skills but want to skill up and customise patterns. 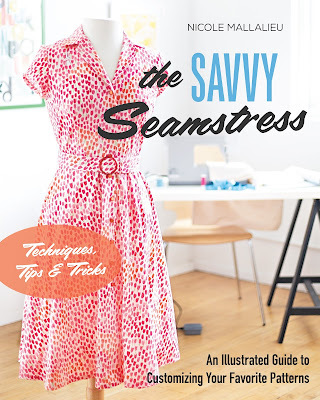 As beginner sewists are my jam, I can see that this book is very beneficial to up your sewing skills. Thankfully to give sewists a head start, Nicole begins the book with lots of lovely information on what tools you will need to get started on the pattern alteration journey along with some really helpful and clear information on pattern markings and the anatomy of a pattern piece, plus sewing terminology and tips and tricks. The bias binding instructions are spot on! And then we step into the customisations themselves. 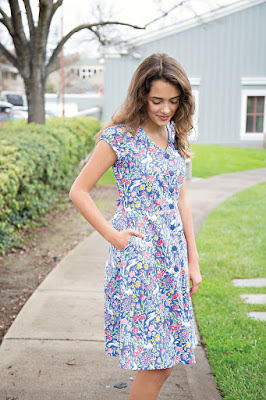 The suggested mods are relevant and what I see most sewists wanting to change or add to their patterns - Adding pockets, button plackets, facings to a neckline or waistband, how to sew zippers and shirt yokes correctly, collars and cuffs, and sleeves. Nicole has a fabulous way of writing instructions, very clear instructions. 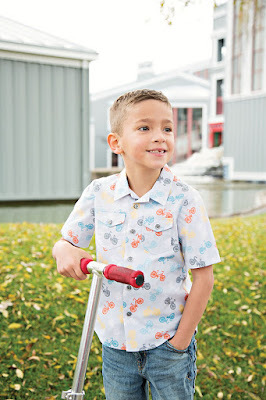 These instructions are easy to follow and along with the very informative images and illustrations, I think every sewist will get something out of this book no matter what level they are at. I sometimes prefer to add a facing to a waistline instead of having a waistband, and I myself have learnt a trick or two for making these facings super neat! 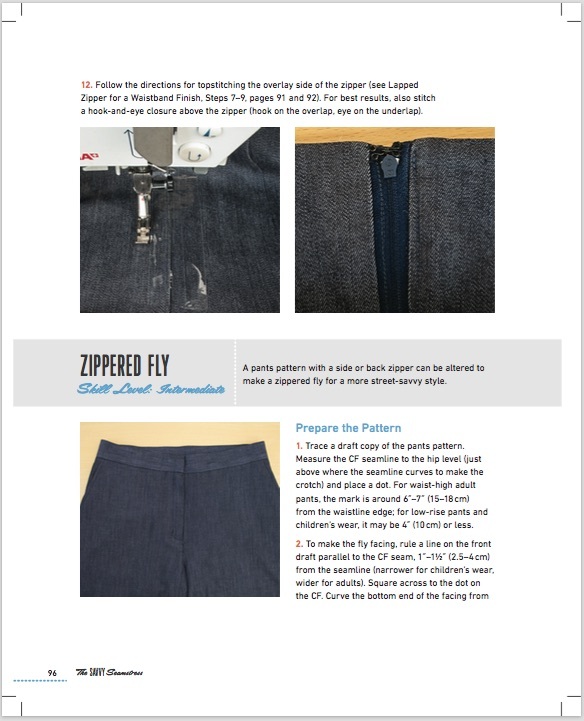 My favourite customisations in this book are adding an inseam side pocket, correct insertion of an invisible zip, adding a Peter Pan collar and the zip fly. 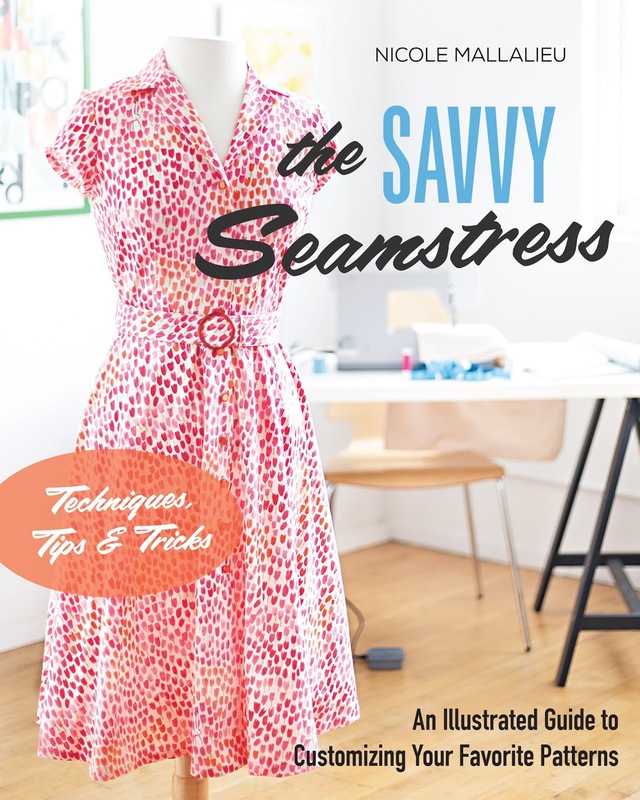 Overall, I highly recommend this book for all levels of sewists. And it's available just in time for a perfect Mothers Day gift, here in Australia via Booktopia! Or you can win yourself a copy by commenting on this blog post with your most used pattern alteration and by following me on Instagram and signing up to my newsletter. The winner will be drawn randomly on 2 May and be contacted via email, with their book following soon after. Thank you to C&T Publishing for their kind prize! Wishing Nicole all the best for the launch of the book and congrats on such a wonderful resource!